Though it’s lesser-known than some other Asian cuisines and has fewer dining options, Vietnamese food has so much to offer the curious chow hound, with its fresh, healthful Buddhist slant and its curious Cantonese and French influences. When sampling Vietnamese cuisine, you may detect a harmony of taste sensations, or find yourself struck by the delicate balance of flavors. This is no mistake – Vietnamese cooking is designed around the very concepts of balance and harmony, appealing to the five senses, and playing off yin and yang. 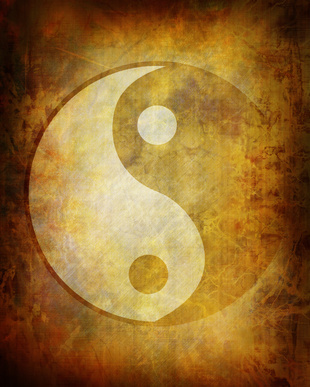 The Asian principle of “five elements” influences Vietnamese cooking not only in appealing to the five senses, but efforts are made to incorporate the traditional five colors (white, green, yellow, red, and black), as well as five spices, and five types of nutrients, all in the name of balance and harmony. Sounds like hard work, but all that effort seems to have created a cuisine that is really something special. And it’s really quite fascinating (and delicious) to learn about! I’ve been eating Vietnamese food for many years now, but my dear friends Mac and Christopher, who dined with me, were new to this type of cuisine, so it was fun to see their reactions to the fresh new flavors and presentations. Mac had never seen the traditional Vietnamese-style summer roll, with bright pink shrimp visible through the semi-transparent rice paper. 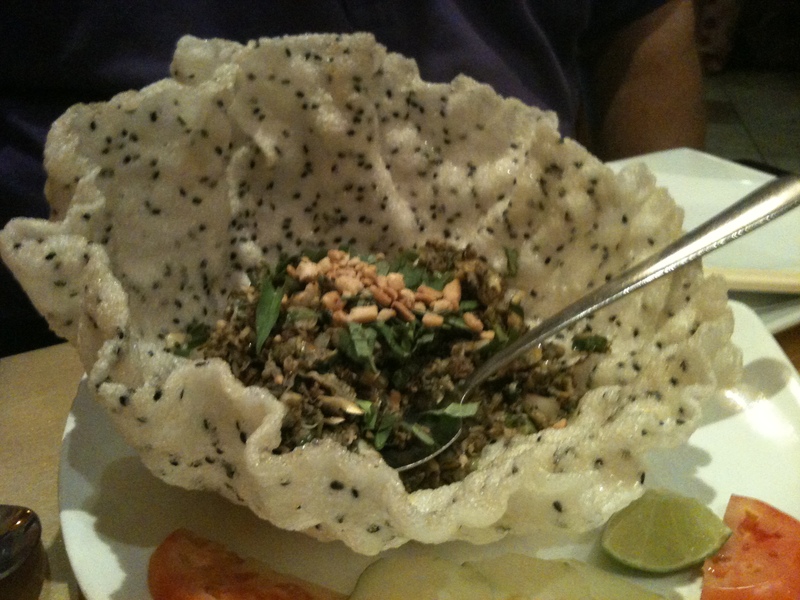 However, the star of the appetizer round was Present’s “Smokey Petal,” a delicate and meaty sauté of baby clams and herbs, served in an impressive, edible rice cracker bowl (pictured above). I should mention that it had stormed quite heavily the day of our visit, and the restaurant had lost power for a while, which resulted in a bit of confusion with the service. However, the staff is very friendly and helpful. Knowing that Mac was new to Vietnamese food, our waiter let him know he was ordering the wrong spring roll, and urged him toward another choice. Hmmm. Upon serving our entrees, when the waiter noticed that the chef prepared the tamarind duck for me instead of the orange duck I’d ordered, he assured me that the tamarind duck was a better dish anyway. Why worry? (While this would anger some diners, I’m pretty easy – and I was torn between the orange and tamarind duck to begin with.) In all, the three of us were quite pleased with Present’s offerings, and found the service and decor to be pleasant and charming. We shall return. 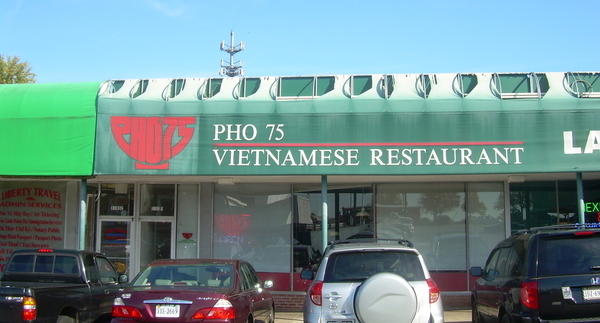 Shortly after moving to DC, my friend Justin introduced me to another Virginia strip mall favorite offering Vietnamese fare: the popular local chain Phở 75 (1721 Wilson Blvd., Arlington, VA 22209, 703.525.7355, among many other locations). Pronounced “FUH”, phở is a traditional Vietnamese soup – spiced beef broth, noodles, and shaved onion, with your choice of meat, such as brisket, eye of round steak, or even tiny meatballs, all for under 8 bucks for a large bowl. Adventurous eaters may want to try the tendon or tripe! Here, phở is served with delicious accompaniments such as fresh lime, anise-y Thai basil, crunchy bean sprouts, and jalapeño slices. (I’ve heard that these accompaniments are not exactly culinarily authentic, but they sure make for a great eating experience!) Squeeze bottles of Sriracha hot sauce and hoisin sauce are shared on each table. Something interesting: I’ve heard that, traditionally speaking, phở is the only Vietnamese dinner dish served in individual portions; all other Vietnamese dishes are meant to be served family-style. Be warned, you are coming here strictly for the food. The restaurant is about as charming as a warehouse, and you’ll likely have to wait a bit. But it will be well worth it. To be sure, one of the perks of being a Washigntonian is our proximity to all of the great Asian communities of northern Virginia – and the fantastic markets and restaurants therein. 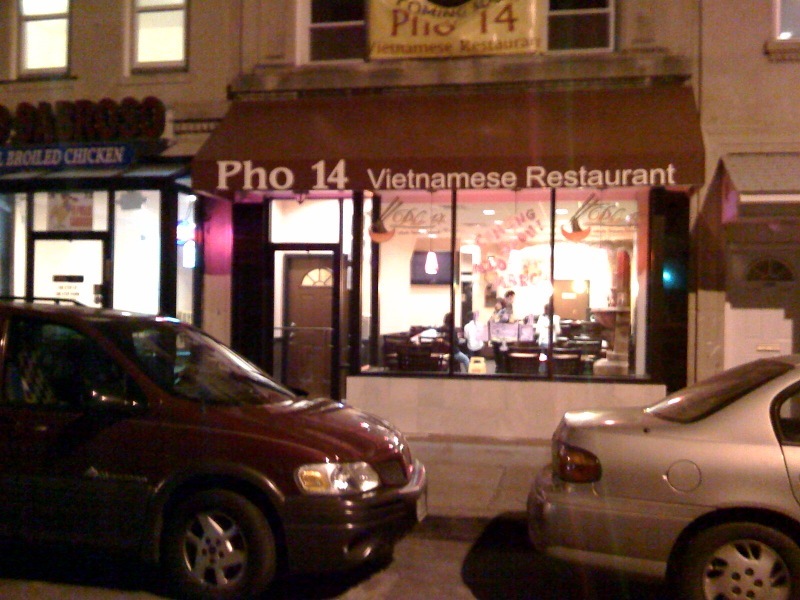 However, there are some great choices right here in the District as well, including the Vietnamese offerings at Phở 14 (no affiliation with Phở 75, 1436 Park Road NW, Washington, DC 20010, 202.986.2326). On an unassuming block in Columbia Heights, Phở 14 offers the traditional soup for $7.95 – 8.95, as well as a decent selection of other Vietnamese fare, including salads and rice dishes ($8.95 – 10.95), as well as stir-fry and vermicelli dishes with meat selections that run the gamut from tofu to pork meatballs to chicken to squid ($7.95 – 13.95). 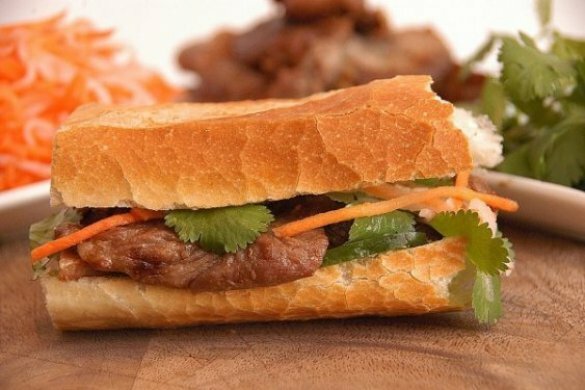 You can also try another famous Vietnamese dish at Phở 14, the bánh mì sandwich (starting at just $3.99), a must-try for any aspiring international foodie. Bánh mì is actually the name of a type of French-influenced Vietnamese baguette, but it has come to be known as the type of sandwich served on it as well. The sandwich is packed with savory delights – pickled carrot and daikon radish, cilantro, mayo, a touch of soy sauce. Again, we see the French influence in Vietnamese food with a surprise ingredient: liver pâté. Your choice of several varieties of meat are available to make a traditional bánh mì: beef (pictured below), pork, chicken, fish or tofu. Bánh mì sandwiches have an almost cult-like following, and Phở 14 provides a worthy contender at a great price. (In fact, in addition to the bánh mì’s unique and fantastic flavor, the sandwich’s loyal following may have something to do with its budget-friendliness as well! I don’t think I’ve ever seen one priced over 6 bucks or so.) I hope I’ve piqued your interest enough that you’ll add Vietnamese food to your list of things to try if you haven’t tried it already. Your first taste won’t be your last – phở sure!